Dave: no, there is no reunion planned at all with Van Halen. And there ain't any further tracks existing, besides those few songs, we've recorded a few years again at the studio, - real good songs by the way. But even then, we didn't see each other very often. I mean, we don't get on with each other very well, that's all. We had a divorce in the past, like between an old couple, who had difficulties. All divorces are ugly. And you are only as big as the little things which anoy you. When I remember back, I'm definately proud of what we did together, and I don't regret anything. But the future is open, and I say never - never again. I am aware, that this subject is still beeing discussed in the business and that there are rumours. If one day we are getting that far, I'm definately the last one to say no and the first one beeing here. And you are getting to know it first. But for right now there is nothing planned. I still do remember very well, when I sat down with Diamond Dave and Eddy Van Halen back in 1984 at the Monsters of Rock Festival in Nuremberg. And these two were still talking about a bright future. "Jump" was climbing up the international charts and everything seemed alright. But Dave and Eddy didn't let me feel the already bad atmosphere within the band. 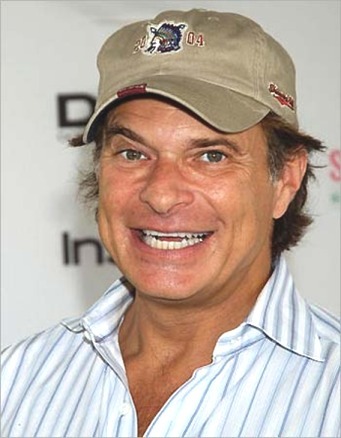 From this point it took almost exactly two years and the partnership between David Lee Roth and Van Halen was finished. Everything had started so much promising in the early Seventees. It was in 1974 when the Van Halen brothers first formed a band together with D.L.Roth and Michael Anthony, named "Mammoth". Very soon the name had to be exchanged to Van Halen, because of problems with a group, who owned this name earlier. 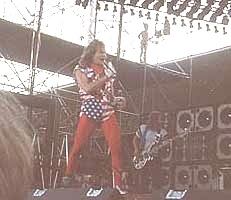 Spotted be none other than Gene Simmons of Kiss, Van Halen soon became a group with cultstatus, whereby David Lee Roth had become the absolute centerpoint. 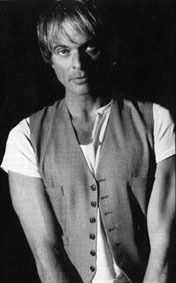 In 1985 Dave released his first solorecord "Crazy From The Heat" which brought the frustration in the Van Halen camp to the top. He left the band, got bassist Billy Sheehan and guitarist Steve Vai to join him and put his megaseller album "Eat 'Em And Smile" out. 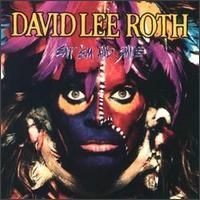 It sold over 2 Million times and established David Lee Roth as an very successful soloartist. 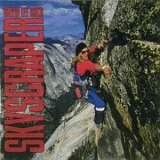 "Skyscraper" was released in 1988, which didn't reach the level of the album before. At this point I met Mr. Roth for the second time and the man showed all the selfconfidence you can get. Sheehan and Vai had already left again to follow their own paths. But little Dave already worked on his next shot "A Little Ain't Enough" which came out in 1991. And there at our third rendevouz, Dave manifested once more his opinion about a Van Halen reunion. Since then, he never really changed his mind - at least for the past 14 years. Just to complete the whole thing, I wanna mention "Your Filthy Little Mouth from 1994, a Best of... CD - 3 years later and the single „Look At The People Here Tonight“ in the year 2000. After that the touring activities increased again with the result - a Live-DVD. 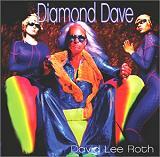 And last but not least..... of course his latest album „Diamond Dave“ which was released last year. Dave: „Well, that's how Rock’n’Roll should be. Look at my fans at the show. They are overdrawn,crazy and are flying 3 feet above the floor feeling like having a car crash with a huge damage. And that's how you should feel after a concert. Whether it's mine or anybody elses gig. 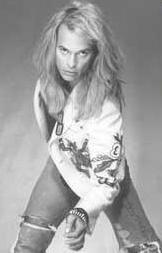 Of course I ask myself, who is David Lee Roth today. Has he changed a lot over the years - physically or mentally? Dave: no he's still three dimensional like you and me. He crys like you, laughs, talks, swears and is seriosly happy. Most musicians create a single cartoon image. They act like real unhappy boys beeing unhappy. Others pretend a party animal image, playing arround on their guitars. They are never happy, never sad but socially concious. 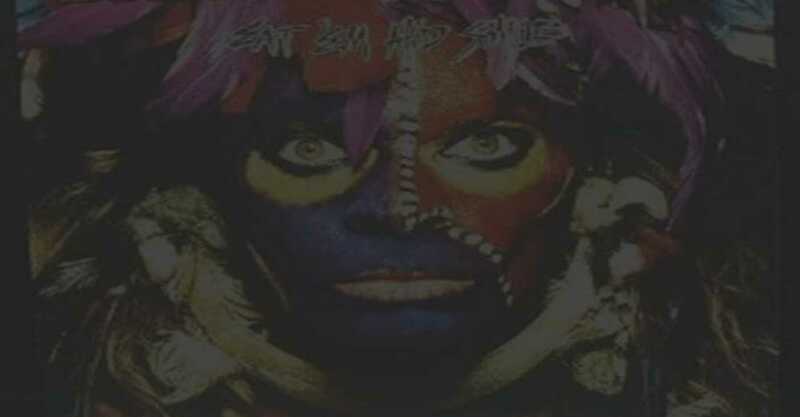 I think I'm a healthy mixture of intermidiate everything.That' me, that's David Lee Roth. Beeing 50 years of age, the singer is in surprisingly good shape, although he's changed a lot. Dave: I became a boyscout when I was a little kid, and I training Kung Fu for 36 years. I'm fit in every kind of sports, but not good in any. I love the challenge. Hey let's be competitor, taking part in life. Either you are the victim or the animal. I belong to the last species. I can only state my current condition and my little chickenlegs carring me across the stage and I'm still able to hold a guitar in my hands at the same time. I never think about these things. It happens spontainously, like most things in life. 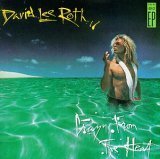 Has there ever been something like an absolute highpoint in David Lee Roth's life? Dave: Yes of course! My highpoint was the moment when I realised, I became a professionall waiter. I wait for the bus, I wait for the airoplane, I wait to go on stage and I wait what might happen next. Most musicians are not aware of this. But when you get to this realisation, you can become very zen. As we in Europe haven't heard of Dave a lot lately, of course we gonna ask ourselves, how big is his popularity still in America. And it is indeed quite big.At least Dave can still go around the corner and buy his own newspaper in peace. Dave: sure I can. This ain't Michael Jackson's story, crawling out of the back of a limousine, dressed in spandexpants with his hair fluffed up and his mouthmask, screaming: 'hey man, i don't have no privacy anymore'. I put on my baseball hat, put on my favorite pair of jeans and start walking. There is a way to talk, there is a way to walk.And there is a way to get around the attention. You've gotta explore it. And this what I put in my music too. Of course we are interested in Dave's opinion about the international musicmarket. Dave: "music right now is like an malayan kid, who rides with a buddhist munch on the back of a camel wearing spanish traditional clothes, to go to a church, where there is a orgie celebrated to the music of Beethovens 5th symphony. The whole thing mixed up with hip hop, if you know what I mean. There are no straight lines anymore. Everything is mixed up to a multi culti soup, which really ain't a disadvantage, because there could be new directions developing. Ihave learned a lot from Elvis and Jimi Hendrix. And I try to pass on my experiences..
And what is David doing next? Dave: „everyone is asking me that: Fans, labels the media and the business. My head is full of ideas constantly developing in my brain cells. I call it *Dave's never ending barbecue party'. The dinner will be ready sometime, and then I invite you all to join in. Dave: „tell me, what is perfectionism. I doubt, there is something like perfectionism in Rock'n'Roll. Hey, what's your favorite pair of jeans look like? Yeah... Mine too. They've got big holes in the knees and a big hole in the but. Is this perfect? No, but it's absolutely right.